As I was sitting here trying to organize my thoughts and compile the list of items I wanted to include in the year end review, I realized the magnitude of support my family and the foundation have received since 2012. Over the last 4 years, the foundation has amassed a large group of GREAT volunteers and support from individuals and businesses throughout the community. This support has allowed NCBF the ability to donate over $161,000 back to the community through our projects, donations, and Days of Greatness outreach. NCBF’s board and volunteers come from all different walks of life but are united in the cause of service to others. As Martin Luther King Jr. Day approaches, I thought it only fitting to start with a quote from a GREAT man and community organizer. “Everybody can be GREAT…. Because anybody can serve. You don’t have to have a college degree to serve. You don’t have to make your subject and verb agree to serve. You only need a heart full of grace and a soul generated by love.” - Martin Luther King Jr. This quote, to me, symbolizes what our team is about – GREATNESS through service to others. Individuals from all walks of life joining together to make a difference in the lives of others. In 2016, NCBF moved forward in big ways adding new members to our board and various committees, a re-invented website, the kick off of a new fundraiser. We began the year with our feet running (yes, literally) planning our first 5K! We hosted our 3rd golf tournament, our 5th fun day, broke ground on the Winfield Baseball Field, sent four running teams to Ragnar Relay Series which included a new partnership with that organization, held a fundraiser at Chick Fil-A, expanded our Holi-Days of Greatness outreach, attended various community events, and much more! 2016 began with some incredible upgrades to our website. It was long overdue as we had outgrown our website and the former format couldn’t keep up with the web traffic, merchandise sales, or give us the ability to easily expand and update. The web designer graciously donated his time to recreate our site (wow, thank you just doesn’t say enough) thus allowing us to put that money back into the community in big ways! With our new and updated website, it gives us GREATer control over the content, allows us to continue to grow as a foundation, and it can be updated much easier. If you haven’t checked it out… go do that today at www.nathanchrisbaker.com! In 2016, we continued to work with the Carroll County Department of Recreation and Parks on the funding of the baseball field in the Winfield Community. The site is directly across from Winfield Elementary School. To date we have donated $15,000 to the project and a commitment of an additional $15,000 in the future. In 2016, hundreds of thousands of yards of top soil was brought in, the drainage was installed and the field was leveled. CCDRP continues to work with the Winfield Recreation Council on the details of this field and the timeframe for completion and we are extremely excited to hear the first – play ball! NCBF is continuously searching for new and exciting community projects that we can be involved in. If you know of a project or location where NCBF can partner or assist the community in GREAT ways – visit our website and complete the application for community projects in the What We Do section. On a more personal level, NCBF volunteers continued to reach members of the community through our Days of Greatness. 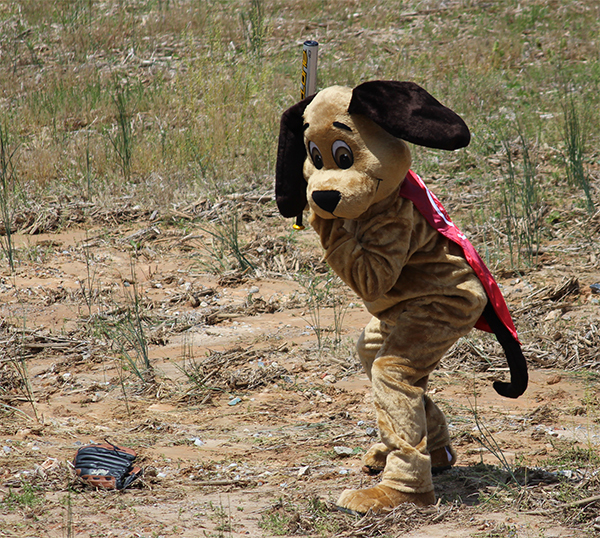 As a foundation, we love our large projects that impact the community but feel strongly in the personal connections made with those in need through our DOG. As a family, the Bakers and Fulmers were truly touched by the kindness and love received from others in the days, weeks, months, and years since Nate’s passing. That kindness and love has inspired us to do the same for others struggling through life tragedies. Thus began a chain of paying it forward that continues with each small act of kindness through our Days of Greatness. This committee takes nominations from the community through our website and creates a Day of Greatness for those in need. Each day is personalized for that family and is designed to give them a day together without worrying about cost or logistics. It’s simply a day to spend together and forget about the worries that they deal with on a regular basis. Past recipients have been battling illnesses, lost a loved one, or a family dealing with a hardship. A large part of DOG is our Holi-Days of Greatness - we go ALL OUT at Christmas time. Christmas 2016 brought us nominations for 12 families in need of some Christmas cheer. We decorated a family’s home and provided them with a Christmas tree, provided numerous drop and run baskets - a few gifts, some NCBF merchandise, and other goodies are dropped on the doorstep in order to bring them a bit of cheer. This is something small but it could mean so much to those that receive the surprise. This past Christmas, we adopted two families and provided them with their entire Christmas. Our team went shopping and purchased items from their wish list, wrapped he gifts and delivered them in time for Santa Claus. We even checked the lists twice! This year we were able to help a record number of families through the Holi-Days of Greatness. The goal is to provide the nominated family a bit of cheer for the holidays. It is our hope that each of the families we adopt will find a way to Go Out and Be Great and pay it forward in the future. It is always GREAT to see the face of someone we have helped attending or volunteering at one of our events and assisting us in making an impact in the community. We are already working on our first Day of Greatness for 2017. If you know a family that is in need, please contact us through our website and nominate them. Greatness has to begin with you. Applications for a Day Of Greatness can be found on our website by clicking here. In May, the 1st annual Great 5k was held in Westminster, MD. We approached this first race with nervous excitement as we jumped into new territory with planning our first race. NCBF strives to make each of our events GREAT so our goal was to host 200 runners in our first year, knowing that the average race typically registers 100 to 150 runners. We are beyond thrilled to share that with the help and support of the community, businesses, and the Great 5k committee, the race SOLD OUT at 400 runners. Wow! It was a cold and blustery day, but everyone had a GREAT time and the foundation was able to raise money to support our community involvement and projects. Planning is already underway for the 2nd Annual Great 5k. It will be held in Westminster on June 11th, 2017. We are prepared to double the number of runners this year and make this one of the premiere races in the area. Stay tuned for details to be released soon! On June 24, 2016 we hosted our 3rd Annual NCB Golf Tournament at Turf Valley Resort in Ellicott City, MD. As always this event was well attended and hosted a total of 132 golfers. Although the weather started out a little rocky, the skies cleared and everyone had a GREAT day. We are thankful for a great group of golfers and volunteers that braved the rain and waited on the sunshine to make an amazing day! This is our largest fundraiser of the year and is always successful because of the generous donations of all of our sponsors. All of these fundraisers support the Go Out Be Great mission and each dollar goes right back into the community we serve! None of this would be possible without the support of sponsors such as Corridor Mortgage who headlined the event as the Title Sponsor. Linda Freeman and Corridor Mortgage continue to support NCBF each year at this event and we are so thankful for that support. Mark your calendar because the golf committee is already busy planning for the 4th annual golf tournament set for June 23rd, 2017. Stay tuned for more details. In September we held our 5th annual Fun Day at Hoppers Kid Zone which was presented by Hoppers KidZone & Rental Solutions. Again this year we took over the entire parking lot with moon bounces, fire trucks, police vehicles, carnival games, and vendor booths. It was a GREAT day of family fun and our longest fundraising event proved to be very successful. This event was established in 2012 by friends and family of Justin and Katie. The goal, then, was solely to raise money for the Mechanicsville E.S. playground. We had no idea, at the time, that this would become an annual event that now continues to raise money for our various projects! Yes, it’s a lot of work for the committee but the smiles on the faces at the end of the day make the work worthwhile. The Fun Day committee is the largest committee we have inside the foundation. It has so many moving parts. Thank you so much to the committee, the volunteers, the sponsors, to the business for their silent auction donations, and the community for making this event what it is. We would be remiss if we did not recognize St. Johns Properties and the many businesses at Eldersburg Exchange Shopping Center for their support and willingness allow us to use the parking lot for this annual event. Planning will begin in the spring for the 6th annual Fun Day which will occur in September 2017 so stay tuned!!! The above events make up NCBF’s three largest fundraisers each year. Each event has a committee designated to its preparation and execution. Without the volunteers on the committees and our volunteers at each event, these fundraisers would not be possible. We can’t thank each of you who volunteer your time and energy enough for all of your tireless work. It seems these days you can’t leave the house without seeing a “Go Out. 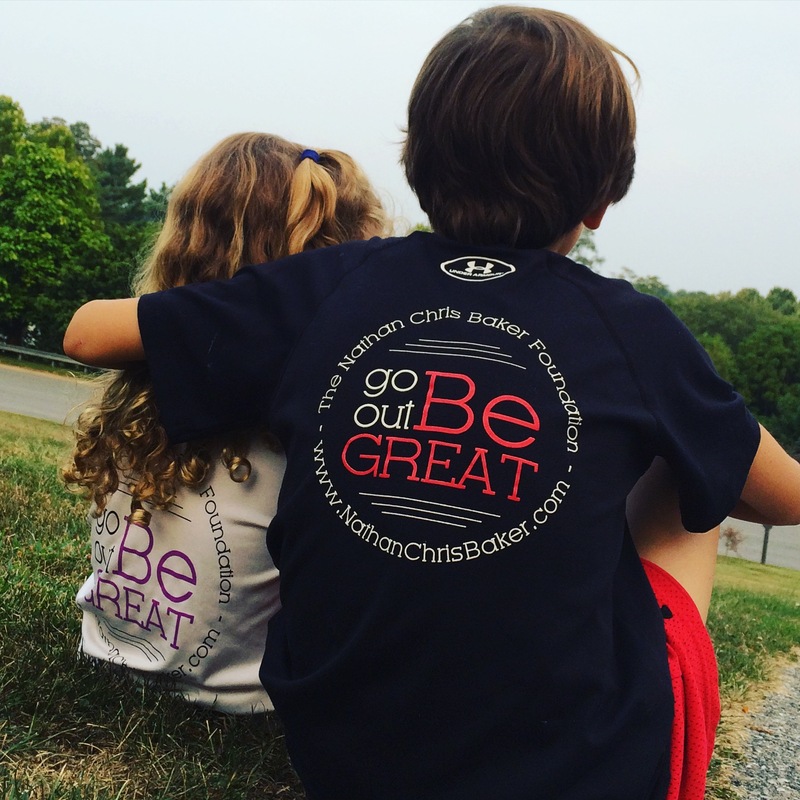 Be Great.” shirt or car magnet along your travels. Our supporters seem to be EVERYWHERE – from Hawaii to Massachusetts, you can find GOBG apparel. We are humbled by this ongoing support and are beyond GREATful that so many continue to keep Nathan’s legacy and memory alive through action. As we began thinking about how many shirts we see around the community we were left curious… so we sat down and ran the numbers. Would you believe we sold over 1100 shirts, sweatshirts, ¼ zips, Team Nate shirts, and other apparel in 2016? That is an absolutely staggering number for a foundation of our size. These items are purchased through our website and locally in Maryland at A La Mode Boutique. A La Mode Boutique has been a supporter of NCBF from day one and has carried our apparel in their stores since 2014. They sold over $6,000 in merchandise in 2016 and donate back 100% of the proceeds! 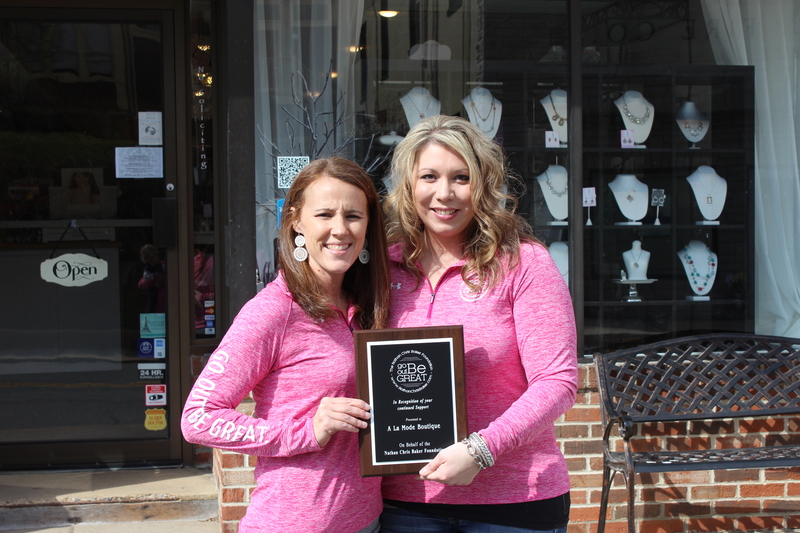 We thank A La Mode for the continued commitment to NCBF and we encourage our local supporters to visit one of their two locations in Sykesville or Ellicott City, Maryland. To you, our supporters, you are amazing! Thank you for supporting NCBF and spreading GREATNESS through action. Stay tuned for our spring release of new merchandise in April! This year we attended numerous community functions, races, and festivals to spread the word about NCBF. We attended and supported community functions such as the Sykesville Harvest Festival, Sykesville Farmers Market, the Howard County Police Pace, Pathfinders Run for Autism, promoted the Go Out. Be Great. Fitness Challenge, and so much more. In 2016, GOBG supporters ran numerous races and participated in events all over the country. It is humbling to attend events and see our apparel walking and running around. In addition to our annual fundraisers, the NCBF has developed a partnership with Ragnar Relays. This is the first partnership of its type for NCBF. For three years, Team Nate has run various Ragnar races. In 2016, we took 4 teams to Ragnar Trail in Richmond, VA and at the finish line Ragnar took notice of our matching shirts and reached out to us. They asked us who we were and what we do and then briefly shared NCBF’s message with others at the finish line. It was an emotional reminder to the Team Nate runners of why they were running – to spread NCBF’s message or GREATNESS and community. After the race, Ragnar reached out to us to form a partnership that will benefit the foundation and Ragnar by providing opportunities to get our messages out, raise social awareness, and raise money together thus making Ragnar a profitable event for The Nathan Chris Baker Foundation as well as inspiring our runners to find their inner GREATNESS. 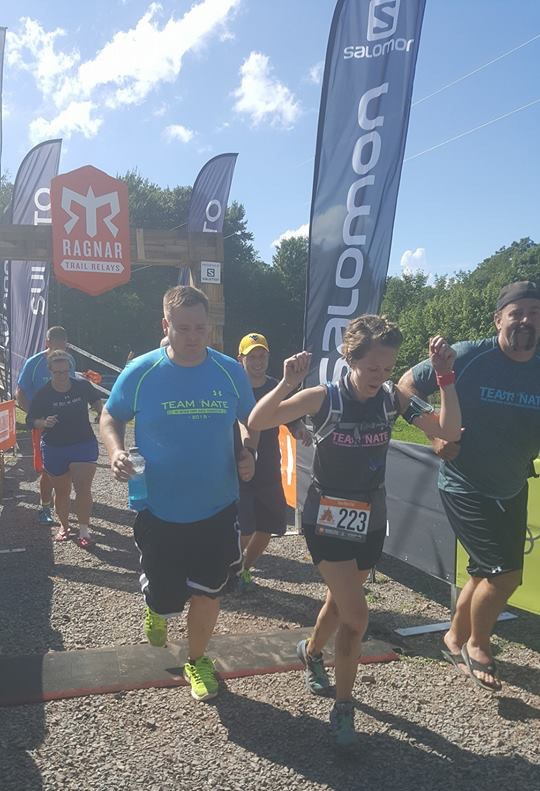 In April of 2017, we will be sending 70+ runners to Richmond to race for Team Nate in the Ragnar Trail Relay! If you are interested in being involved in future Ragnar races with Team Nate you may email us at gobgragnar@gmail.com. We are thrilled and looking forward to a long and meaningful partnership with Ragnar Relays. As we look back on 2016, we are so grateful for the support of so many people. Without the support of the community and local businesses in the Carroll County and Howard County area, we could not continue to be as successful at giving back to a community that has given so much to us. We offer a very special thank you to our ongoing partnerships that support NCBF in every event throughout the year. Year after year these organizations step up, without fail. These businesses and organizations are Hoppers Kidzone, A La Mode Boutique, Denise Tuttle Designs, Rental Solutions, Ragnar Trail Relays, UnWined Candles, and The Ravens Nest #14 out of Carroll County. Your support and the support of all of our event sponsors allows us to reach out and touch the lives of so many – we are forever grateful. This support has helped us impact individuals and communities and will continue as we assist in building our Field of Dreams in the Winfield Community of Carroll County. Thank you all so much for your support and we cannot wait to be GREAT in 2017. So it's been awhile since I've put my fingers to a keyboard to write. Quite often, I have so much I want to say but haven't been able to formulate my thoughts into anything that would make sense on paper. I find myself in a stage of grief that I'm still trying to navigate myself. I find myself in a phase of life that I'm not sure how much to share and how much not to share. But today, I woke so uneasy and so unsettled. So I spent some quiet time with God, asking that He remind me of the strength and Hope He knows I have, and now I will sit in the calm and quiet and write before this day begins. Life has changed a lot over the last few years. A couple weeks ago I let the iPhone playlist just shuffle at random. Admittedly, most days I cannot listen to songs that carried me through the initial months of losing Nate. I cannot listen to songs from his service or from the slideshow that played before his service. I hear them and can be taken instantly into that very broken and shattered pain that I felt almost 4.5 years ago. Most days it just hurts too much still so usually with the first note of one of these songs I have already hit next on the playlist. But a few weeks ago, I was able to stop and really listen again and take them in. It was a big moment for me. I found myself on a journey of self-reflection rather than in that dark and heavy place I remember. It was as if I was being guided through my journey from the outside looking in and reflecting back and in those moments I realized just how far we have come. We’ve come from heavy sadness where tears fell daily, through anger and frustration with God and the world, and now to a place where we are finding joy again. The emotions come and go, yes, I still have heavy days but they aren’t as often as they used to be. We could have left ourselves stuck in that heavy place but instead we fought with every ounce of energy our souls would offer to be in THE light and not under it. This week I have felt the joy of Christmas coming. I have seen the wonder in a child's eyes. I have watched Drew & Kaylee’s excitement grow. I have also looked at a stocking with Nate’s name that hangs and will not be filled. An honest reminder of our reality that there is pain but we can have joy too. I have sat many evenings and just stared at the fireplace where his stocking hangs in the center, as our middle child, directly under his cross. I have prayed and wondered if we are doing the right thing by continuing to hang his stocking. But the reality is that I cannot put it away. I cannot put him away. Nathan Chris Baker entered our world on December 23, 2006. Today, December 23, 2016, Nate would be 10. Ten... how does a momma's mind wrap herself around that idea that my child would be 10. Nathan lived on earth with us for 5.5 years. The last birthday we celebrated with Nate on earth was his 5th birthday. He was so excited for his 5th... you know 5 means one whole hand of fingers you get to hold up and smile the proudest smile? When I think of Nate and I still see my 5 year old stubborn yet innocent little boy. What would 10 look like for Nate? How tall would he be? What would he be like, who would his friends be, would we have a big party, would we go to his favorite dinner spot, what gifts would he be asking for? We don’t have those days with him. We watch our other children grow and it leaves us longing for those days with Nate. His 10th birthday.... that means he's been in Heaven almost as long as he was with us on Earth. I just can't even wrap my brain around the last four years without him let alone a lifetime to come without him. My heart turns and weeps inside my chest. The journey of grief, and missing your child, just doesn’t get easier. It doesn’t go away… ever. It changes. I’ve said it before, the journey is winding. Some days I feel like a mess in this journey as we climb from the ashes. Some days I feel like it will, somehow, make sense one day. I know that we don't always like the journey but I do know that we will keep walking it with our heads held high in hope. I know that we wouldn't be where we are today, finding hope, and seeking joy without strength from above. In the story that God is writing.... I believe the journey is as important as the destination. I am thankful, that in the pain, we can look back and see the journey we are walking and that we haven’t let the load slow us down. In the end I hope I will look back on this life and smile because I decided to live and love it. Life is messy. But even in the ashes it can be beautiful. Sending all our love to Nate today. We may cry tears and feel sadness but we also celebrate you. All that you were, all that you are, and all that you will be through the light that shines through. Sometimes your reason for running is personal. Maybe you just like to run, or maybe like me you run trails to take in the beautiful canvas in front of you. You let your thoughts take the place of the wares and cares of everyday life and just reflect in an intimate setting the Lord provides. “Being a Ragnarian is more than crossing the finish line of a 200-mile running relay. It's about being a part of a supportive, inspiring, active community.” Each runner on the Team Nate Trail team this past weekend was inspiring, from start to finish! Russell Bly started us out as runner one, wearing a Team Nate shirt! Out of the hundreds of people there, that Team Nate shirt drew attention. A runner from another team asked to take a picture of his shirt because she remembered NCBF story from the Ragnar Trail in Richmond earlier this year. 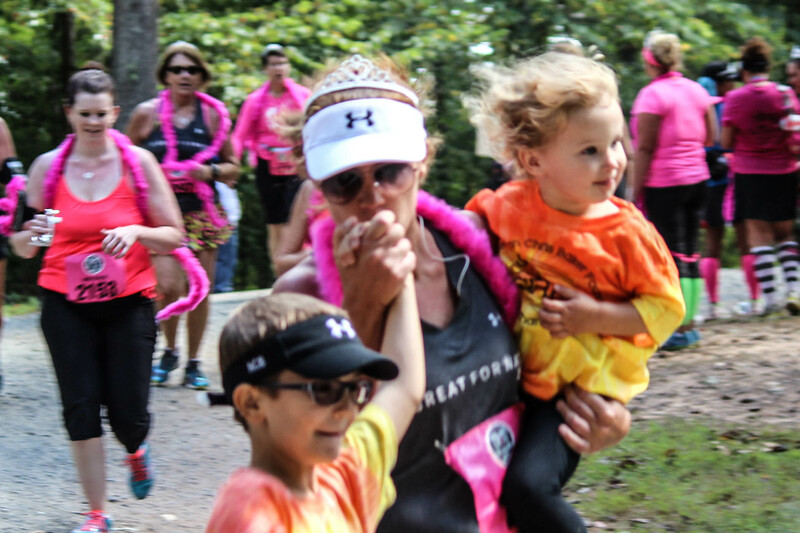 The mission of NCBF, Nate's story, our teams’ reason for running, had made an impression on her! The truth is we all run for Nate! Nathan’s Uncle, Mike Cannon tells us why he runs: “At the Richmond Ragnar I was asked why I put myself through these races, I do these things to honor Nate. It's not about the shirt or the medal. I do it to raise awareness for a foundation that means very much to our family. Though I still get emotional, I get to tell countless people who Nate was and what the foundation stands for. Running through the last half mile or so hearing hundreds of people cheer on team Nate is something I always cherish and hearing the announcer tell the gathered crowd about the foundation; who we are and that they are glad we are there. I want to do this as much as I'm able. I want to help grow this foundation because Nate deserves it." It’s amazingly great what comes over a runner who is running for a cause and on a mission. The strength that can be pulled out from deep inside that the runner themselves didn’t know they had. 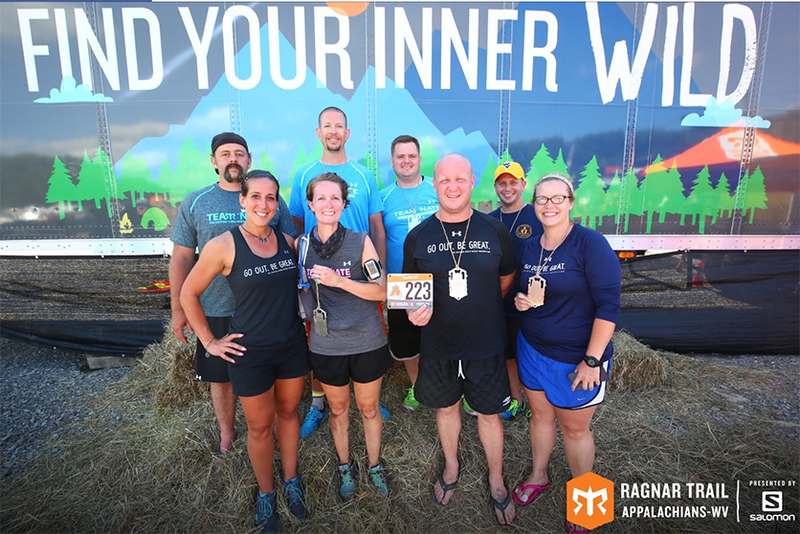 Lisa Fleming tells us her account of digging deep: "The Ragnar road to greatness proved to be rocky… literally! 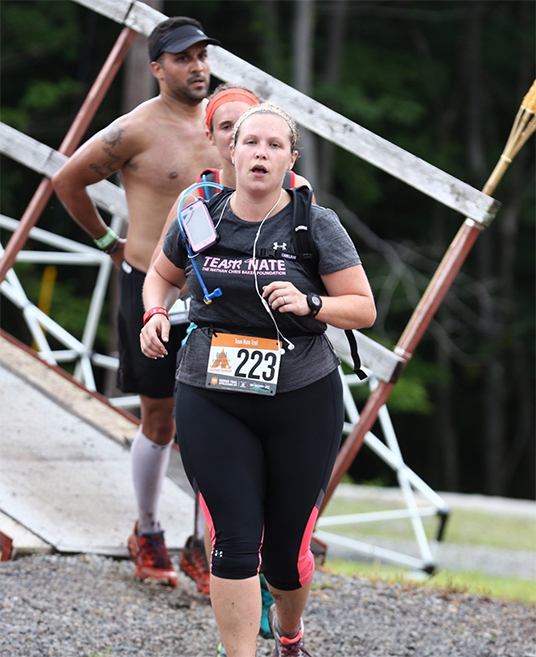 This weekend I embarked on my 2nd Ragnar trail race and my 5th race for Team Nate. I have been inspired by Justin and Katie’s greatness over the last few years and it has been an honor to be part of Team Nate. When the opportunity was presented to run for Nate, I jumped at the chance. Except this time, I grossly underestimated my physical rock shimmying capability… by A LOT. I completed the red loop first, the trail called “mother of crack” and I would say that name about sums it up! 6.5 miles of hills, rocks, mud, boulders, more hills, even more hills, and THE hill of .5 miles straight up. I finished in blistered shape way behind my estimated time. It didn’t feel like there was much greatness in that run, but I was glad to be done. I bandaged my blistered feet and cheered on my teammates as they took off looking pumped and they returned looking…. Hot and exhausted. The time came for my second leg, the yellow loop in the dark. All started off well and while my pace was slower than I liked, I was working my way through the rocks and mud. That is until mile 3, when I stepped the wrong way off of a series of staggered rocks going downhill. I knew in the first step I took, I was hurt. There I stood, alone, in the dark, not even sure I could make my way to the finish 1.6 miles away. As frustration and disappointment set in, I began to doubt myself. My ability, my strength, and any perseverance I may have had. At that moment, I thought of the reason I wanted to be a part of this GREAT team in the first place. I thought of the GREATNESS that Justin and Katie embody as they work to share Nate’s legacy. I thought of Nate. So there, in the middle of that dark trail on a mountain, I decided that if I had some small piece of potential greatness somewhere deep down, now is the time to use it. I moved forward step after painful step. I slowly made it to the finish of that run and I was off to the medic tent! The verdict was a sprained ankle (the first one I have ever had in my life) and landed on my knee which was sore. Ice and rest for the night and reevaluate in the morning. Morning came, the knee felt good, but the ankle did not. It was coming time to run my final leg of 3.5 miles. 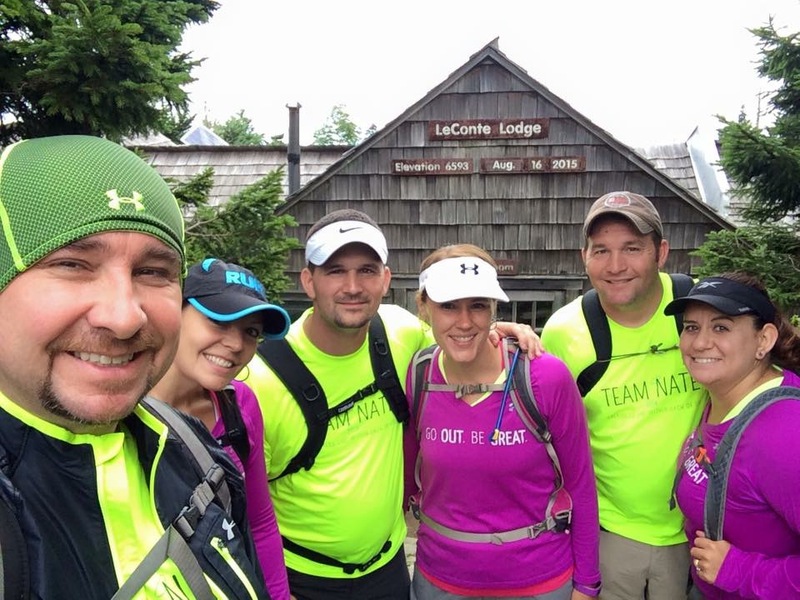 Several of my amazing teammates offered to run my final leg for me in addition to theirs. After the medic took a look, I tried to run a few strides to see how it felt. My knee said NOPE, my ankle said NOPE…. But my heart and mind said YES I will. I taped, and wrapped, and taped again my ankle so it wouldn’t move. I set out on the green loop and what should have been a 45 minute run took me 1:15, but I kept my mind focused on the reason I was running. For Nate, and bringing notice to the GREAT foundation in his name. I finished my loop to the encouragement from amazing teammates and we finished as a team what we set out to accomplish while spreading the word about NCBF. Hearing the shout out by the race announcer in recognition of NCBF and the purpose of the foundation as we finished was a great end to the race. I am so proud of our Ragnar team and to be a part of Team Nate!" The WV Red course was tough! Although I was unable to run, I watched as runner after runner, come in exhausted from running such a rough leg. Exhausted from the terrain, hills and sun that beat them down. When the next runner went out to tackle that course, they went out with optimism and excitement to beat that red leg. As each runner finished, they chilled out together talking about how they made it through. Jenelle Cannon was the final runner, and in the hottest part of the day she set out to tackle her final leg, the dreaded red course. The team all watched the clock and counted down to her return. As the team gathered together to bring her in, standing in the group with their Team Nate shirts, the announcer gave a shout out for Team Nate. Without being prepped he gave a brief description of what the foundation does over the loud speaker! As the team stood there and anticipated Jenelle to return utterly exhausted, she rounded the corner, with a smile, a "pep in her step" (as Russell put it), cheering the rest of the team to cross together. In amazement the team crossed together and were inspired by her unbroken spirit! The truth is, Jenelle was beat down, she was tired, she was hot and thirsty and she had a secret. It wasn't a special running/energy candy or drink, it was the thoughts of Nate that brought her in. 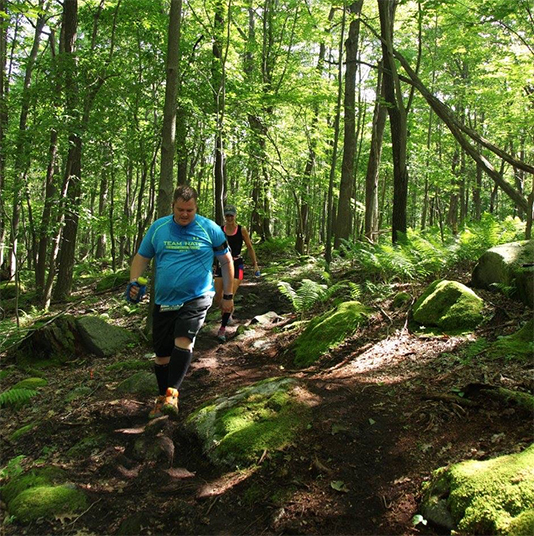 Two weeks before I was supposed to run the WV Ragnar, I went in for an unexpected surgery. 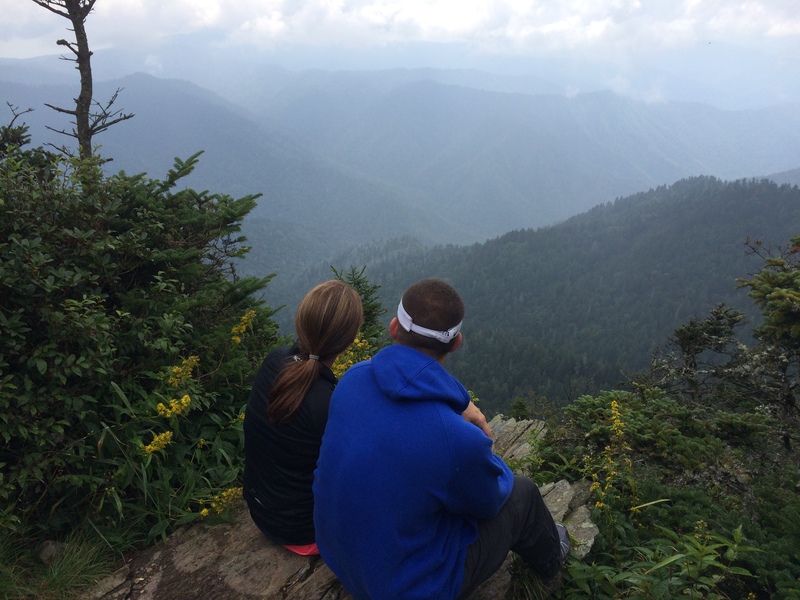 My husband and I had originally planned to run this trail with the team together, but the Lord had other plans. Although I was disappointed I would not be able to participate, I decided I would go, cheer on and encourage the team. Instead, they encouraged me. With their strength beaten down, they endured the next leg anyway. With their positive attitudes in their physical exhaustion they encouraged each other anyway. With their hearts through injury they ran for Nate anyway! I missed running, I missed what it brings me; but being able to watch the team bond together through Nate was inspiring. Watching the accounts of what brought each runner through first hand, was amazing and such a blessing to my heart! Running the trails brings me peace. Running with Team Nate inspires me. Together they bring GREATNESS. In January of 2013, just a few months after losing Nate, I made a crazy leap and signed up for a half marathon. Let’s be really clear – I was in no condition to start training for a half marathon (not mentally, physically, or emotionally) but something in me knew I had to commit to something that year. I needed a goal to work towards. I needed that reward. I needed that feeling of accomplishment. I needed something that was just for me. I was not a runner (I’m still not a runner) but I was determined to learn to run and get better at it. 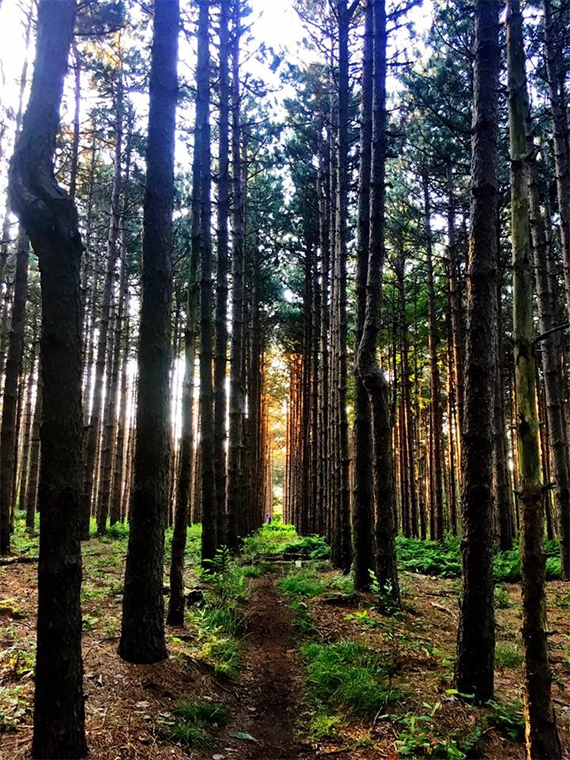 By late summer, I was tackling long runs and learning to love the time it gave me to just do something for me, to be lost in thought, to “just be”. Learning to love that with every step I was running into life. A life, that no matter my pain, I wasn’t willing to give up and because running gave me a source of motivation and control when all everything else fell apart in my world In August, I fell down the stairs, and sprained my ankle terribly. I was so upset with life’s cards at that point because the one thing in life that I was working so hard for… was being ripped from me. Against the doctors advice, I ran in that half marathon anyway, just weeks after getting my boot off and still in physical therapy, and not having finished all of my training. I was determined that I was going to finish what I set out to do back in January. Around mile 8 the pain set in unbearably… but I kept moving… slow but moving. Because, it was a parallel to my life, no matter the pain… I will finish what I started. Mentally, I couldn’t give up… I had to cross that finish line. Looking back, I lost track of the time from that point on, I actually don’t remember much of the last few miles of that race, but I know when I rounded that last corner and saw Justin, Drew, and Kaylee standing there – I realized it was life I was running towards. Not the finish line. With Kaylee on my hip and Drew in my hand, I crossed that finish line in tears that I accomplished it, no matter the challenge thrown my way. Despite the pain, my life will keep moving forward, one step at a time. I want to run towards life and not away from it. This race was inspired by the support we got when the team formed for that first half marathon. It’s now been on my heart for 3 years. Like this unobtainable dream that kept flickering back to my heart. Every year at our annual board meeting we’d float the idea around again and always push it off another year because it was a task that seemed so overwhelming and more of a risk. We weren’t sure what to expect and would discuss the risks and the time it would take the grow the race and would always lean towards waiting another year to review it again. Since, that half marathon in 2013, we have organized several Team Nate races. In September 2015, we ran the Howard County Police Pace with about 75 other Team Nate runners. I’ll never forget the moment, I looked around at 70 plus supporters, running a race, in a Team Nate shirt… and thinking “We have 75 people right here ready to run for Team Nate. What are we doing? Or better put… What are we NOT doing that we COULD be doing?” So that desire to keep moving forward in big ways set in. Literally, before I knew it, in a matter of weeks we had found out what permitting would take, found a location, picked a date, and were jumping in …. literally feet first. Our team of 3 on the committee, Chad Baker, Doug Comer, and myself took off running! We really didn’t have a grand idea of what we were doing but somehow we all knew… it would be GREAT. We picked the date of May 15, 2016. Within a few weeks we learned that this was the birth date of Sarah Jayne Orton. Sarah passed away in 2013 as a Kindergartner as well and my heart immediately knew I wanted The Great 5K to host a 1 mile fun run in Sarah’s memory. This was the first moment in this journey that I knew God played a role in the planning. That timing wasn’t us alone. We are honored to be able to host the 1 mile run in her memory. Once we got through the initial research and planning the rest of the race planning fell into place. Skipping to last Saturday night, when the race sold out. I literally laid in bed waiting for the 400th registrant to register. The smile was from ear to ear, my eyes filled with tears. How did we get here? How did we get from being scared, jumping in feet first, to now hosting a “SOLD OUT” race? Uhm, wow… on our first year! Then it literally struck me as I was reminded so vividly that it is not me alone. It is not our 5K team alone. I was brought to tears in an instant as I was reminded that we don’t do this alone. We do this with Him. The success of the 5K was not our work alone. As much as I’d love to take partial credit for it with my team… it just couldn’t have been only us. Now here we are… just 3 weeks away from race day with a SOLD OUT race. (Really, did I just say that?!) And we are busy putting together all the final details of the race. We have 400 runners that will be on site running and we have another 24 registered to run virtually across the country. Our foundation has incredible support – in our 1st year we have 19 sponsors! I can easily get caught up in the busy-ness of all the details but when I step back and look in from the outside, I just say WOW. He is GREAT. I know Nate is smiling down from heaven and I’m willing to bet, with Sarah by his side, saying “I told you so!”. May my heart be kind, my mind fierce, and my spirit brave. – Kate Forsyth. It’s been awhile since I’ve really sat down to write in this blog. A few weeks ago, a friend asked me why I haven’t written and posted a blog lately. My initial response was to say, “I am so busy that I haven’t had time to sit and write”. 2015 seriously, flew by… and 2016 is headed in the same direction. I really haven’t had that same dedicated quiet time where I could just sit and let emotion spill out, sometimes literally with tears, to the keyboard. Honestly, there have been a few stories that I really wanted to share but as weeks ticked by the moment didn’t have the same impact when I tried to formulate the thoughts. While, that may be partially true that I didn’t have time, it wasn’t the full truth. So then I began to confess more. At a certain point last year, I hit a wall. A privacy wall where I began to wonder if I was sharing to much about our life when I wrote. As I poured out thoughts on a blog, or shared countless pictures, I began to question how much of our personal life is supposed to be shared? How much am I supposed to keep private for my family? What emotions do I protect my children from when they are old enough to look back and read these posts? As my children grow it became more and more apparent to me just how much I was sharing or what I wasn’t sharing for that matter. I began to find myself protecting pieces of a story to protect their privacy. In 2012, when we started this blog and started sharing it was truly a way for me to express everything in my head. It became an outlet and a source of connection to family, friends, and community. I didn’t realize, 3 years later, that it would be read by so many. Or that as time has passed the reality of my children, and their peers, being able to read it would be so evident. Writing became a battle of what and how much can I pour out. I’ve never been shy about saying my children are my first priority and what is best for them will always come first, for Drew & Kaylee, and also for Nate’s story. I want to be fair, honest, and full of love for each of my children. I want to do what is right for all 3 of them. 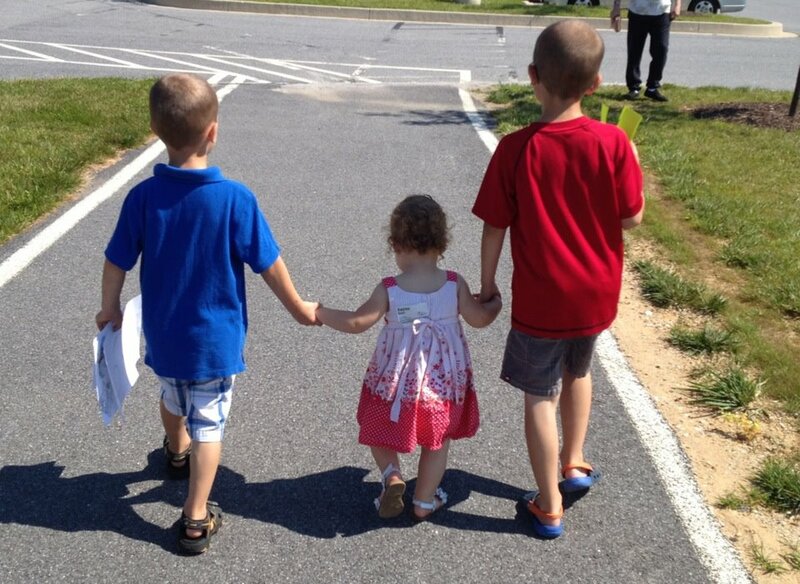 Because, even though, on Earth to the unknown eye, they see me with two children… I will always have 3. As a mom, I will always take care of all of my children. And Nate’s story, our story, is being called to be heard. I have to admit, I miss that feeling of connection that this blog gave me. It was an emotional release for me and hearing all the kind and loving comments in response to our stories was always so filling in my soul. Over the last few weeks, I have been praying over where this blog should be. It keeps hitting me over the head so vividly…. God wants us to use our story to share with the world. We have a story that should be heard and shared. A story that could be used to help others see their way through a similar journey. We have a story to share about Nate, to share about our journey, but also to share of our faith in Him. I believe that God wants to use our story for His story. So here, I am, with a brave and faithful spirit… writing again. Two loves sending love to one more love, Nate. These moments in this journey … they fill my heart. This pain is real. This journey is hard. I will keep pushing to be better. I will keep pushing to be GREAT through this pain and in this journey filled with hope.